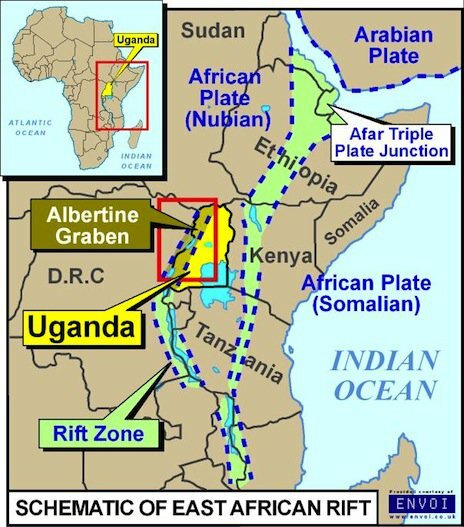 In 2006, Uganda discovered commercially viable oil deposits in the Albertine Graben region. Since then, the government embarked on establishing effective management procedures to promote growth and development for the country  But the oil extraction has impacted local residents in a number of ways. 7.000 individuals belonging to communities in Kabale-Buseruka, Hoima District, were in fact evicted to pave way for the construction of an oil refinery. They were offered the choice between compensation and resettlement; while some residents have been compensated and moved to new settlements, some have still not received any compensation. Some of those who opted for compensation rejected the offer after they discovered their properties had been undervalued. People living in Hoima, in fact, report undervaluation of their agriculture and property, payments which do not match agreed compensation rates, and interruption of livelihoods. The process has been marked by delays and broken promises. The residents who have not received their rightful payment are living in dire conditions. The villages have become overgrown and underpopulated, forcing some inhabitants to move to nearby towns due to fear of wild animals. Agricultural activities also suffer dramatically, as families cannot rely anymore on their harvests. To sustain their families, those who have no food depend on small loans from those who already received their compensation. Many children are no longer going to school because the buildings have been closed in anticipation of the refinery construction. Affected families are calling for improved transparency, due compensation and resettlement and assurance that oil production will benefit all Ugandans. Companies involved: in January, the country announced a shortlist of six consortium out of fifteen that applied for possible selection as strategic investors in the refinery. They include China Petroleum Pipeline Bureau, from the People’s Republic of China, Marubeni Corporation from Japan and Petrofac from the United Kingdom. Others are RT–Global Resources from Russia, SK Energy from South Korea and Vitol from the Netherlands. The successful consortia will have a 60 percent stake in the refinery expected hold an output capacity of 30,000 barrels per day in 2018. The refinery will however have an overall capacity of 60,000 barrels per day, but it will not function to full capacity until 2020. President Yoweri Museveni has for almost two years firmly insisted to oil companies that Uganda must get a refinery. The 60,000 barrels per day (bp/d) plant appeared to be on course when agreements were signed in April between the government, Tullow, CNOOC, and Total. Project Details The successful consortia will have a 60 percent stake in the refinery expected hold an output capacity of 30,000 barrels per day in 2018. The refinery will however have an overall capacity of 60,000 barrels per day, but it will not function to full capacity until 2020. Company Names or State Enterprises Sun Africa from Congo, Dem. Rep.
Development of Alternatives Affected families are calling for improved transparency, due compensation and resettlement and assurance that oil production will benefit all Ugandans. Why? Explain briefly. Compensation and resettlement has been promised but not fulfilled. Benefits from oil extractions do not come to the local communities. Report: Oil Production and Uganda’s Budget for FY 2014/15 - A new report by Winfred Ngabiirwe of Global Rights Alert highlights concerns over the minimal inclusion of oil production costs in Uganda’s 2014-2015 national budget. Estimates suggest that Uganda may collect more than $3 billion USD annually in petroleum revenues, a figure equivalent to half the country’s current budget. However, the national budget does not prioritise the compensation of people displaced for the refinery, nor is there evidence that the government has already secured land on which to resettle those who opted for relocation. Oil Refinery and Compensation: What Went Wrong? This short film from Ugandan partner AFIEGO introduces Stella, one of more than 7,000 individuals affected by the planned construction of a refinery in Hoima District, Uganda. Local residents like Stella were offered the option of cash compensation or resettlement when their land was designated for oil production, but the process has been marked by delays and broken promises. People living in Hoima report undervaluation of their agriculture and property, payments which do not match agreed compensation rates, and interruption of livelihoods. Affected families call for improved transparency and assurance that oil production will benefit all Ugandans. Uganda's Road to Oil: Kabaale-Buseruka Region - This short film was produced by IUCN-NL and ERA Films, with the cooperation of Afiego and GRA. The discovery of oil in Uganda presents an opportunity for the country to promote the common good for the benefit of the citizens especially the over 7.5 million Ugandans who have remained trapped in abject poverty for decades. The efforts of the government and companies have helped to open community roads, build pipelines, a refinery and other developments. If well used, they will translate oil into billions of revenues for equitable development. Oil belongs to all Ugandans. 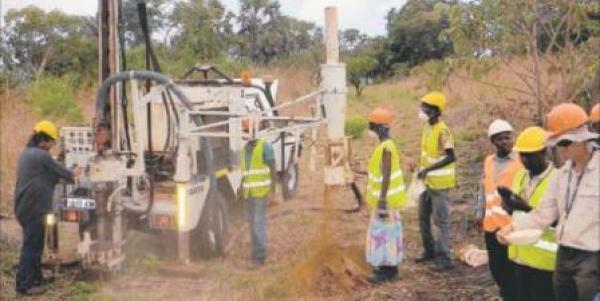 Host communities beginning with the over 7,118 women, children and men of Kabaale parish-Hoima district who are being displaced to create space for the construction of an oil refinery must be given timely and adequate compensation and resettlement to respect their social, economic and environmental rights.